Apart from the natural sights, Lefkada has rich cultural heritage with which you could become more acquainted by visiting the Archaeological museum in the Town of Lefkada or the Ecclesiastical museum in the Faneromeni Convent. The convent itself is a landmark of the island along with the church of Agios Ioannis which was built in 1477! Another not-to-be-missed site is the Fortress of Agia Mavra, very close to the Town. It is nowadays used for hosting cultural events during the summer. However, the best of all the events that are organised on Lefkada in the summer is the International Folklore Festival. The island has a strong literary tradition since it has been the birthplace of many well-respected Greek poets, such as Sikelianos and Valaoritis. The locals have continued their love for literature and art by organising the Literature and Arts Festival. The event peaks with the folklore festival and the town becomes a lively parade with folklore dancers from all over the world sending a message for peace. If you stay in Lefkada Town in August, you will be able to join the hustle and bustle of the festival and the cheerful dancers who dance the dance of peace at the end of the parade. There are various options for accommodation, including rooms to let, studios and apartments for families, luxurious hotels and villas as well as camp sites for the more budget conscious travellers. For those of you who prefer quieter holidays, there are lovely guest houses in most of the villages and resorts around the island. If you head to popular resorts like Nidri and Vassiliki, your nights might end up a bit noisy because of all the young people and the surfers who favour these resorts, although Lefkada isn’t as famous for its vivid nightlife as other Greek islands, like Mykonos, Paros, Skiathos and Rodos. For relaxation and stress release there are lovely picturesque villages scattered around the island, like for instance Nikiana or Agios Nikitas. No matter where you choose to stay, you will definitely enjoy delicious dishes in the restaurants around the island. 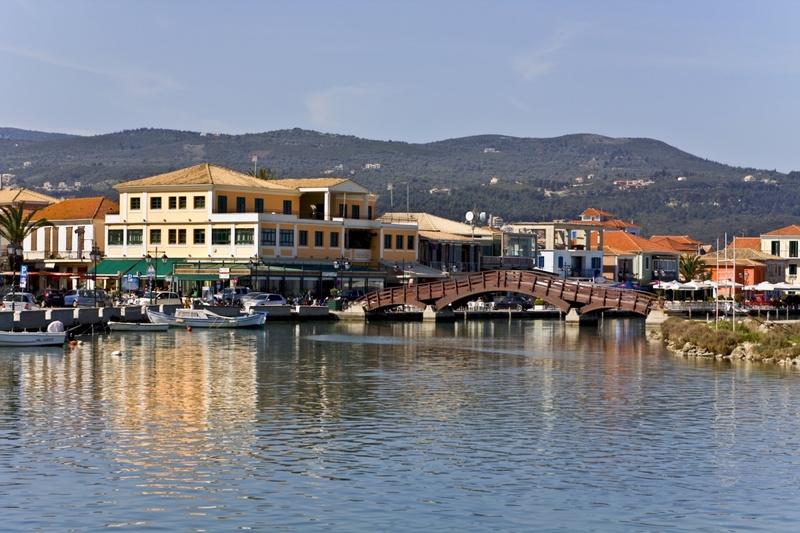 Most of the Greek “tavernas” serving seafood and fish are usually located at the waterfront either in Lefkada Town or the small harbours of the villages. Apart from the international dishes and the Greek delicacies, on Lefkada you can taste a typical dish of the islands in the Ionian Sea called “mpourdeto”. Don’t leave the island though without buying some of the rare lentils of Eglouvi which have been awarded with many prizes and are renowned for their quality. Other local products include honey made from thyme from Athani, “mantolato” and “pasteli” – sweets traditionally made by the barbers of the Ionian islands – salami, liqueur from mint or roses and wine. If holidays for you mean more than just resting and enjoying good quality food, then you are on the right island! 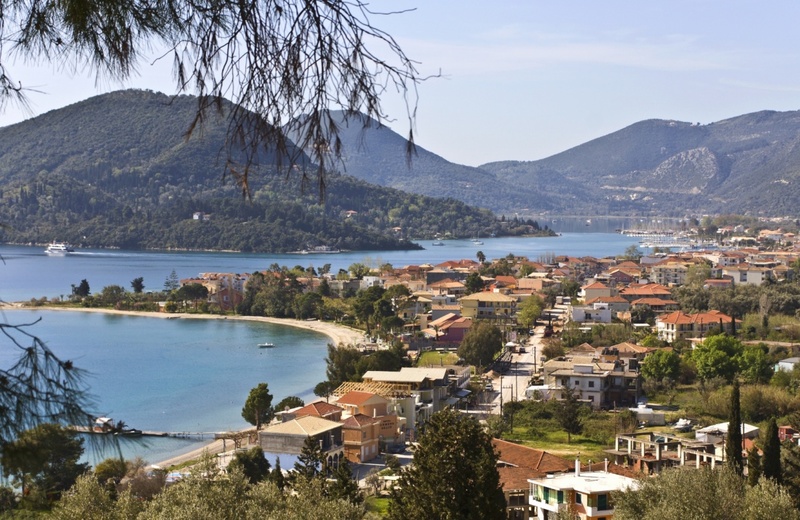 The mountainous terrain of Lefkada is ideal for all sorts of outdoor activities. You can go hiking in the well-defined network of walking trails in the mountains of Elati or the plateau of Eglouvi. Mountain biking is by all means very popular, but recently horse riding has become the latest trend with horse riding training centres found in the plain of Vassiliki and in Lefkada Town. But above all, Lefkada is the top destination for the water sports lovers. You can go paragliding with an experienced instructor and land on the amazing beach of Kathisma. Sailing, windsurfing and kite-surfing on Lefkada attract hundreds of sports people from all over the world. The good weather conditions and the sheltered bays make the island a top-notch choice for sailing and yachting, while the northwest winds blowing in the early afternoon make Lefkada a windsurfer and kite-surfer’s paradise! On the other hand, if you decide to go underwater, the nature will reward you with underwater walls, canyons, gorges and caves protected by the Natura 2000 network. The Mediterranean reefs with the unique biodiversity offer a lifetime scuba diving experience, especially on the eastern and southern side of the island. Last but not least, Lefkada is surrounded by many small islets, while having some of the biggest islands of the Ionian Sea nearby. 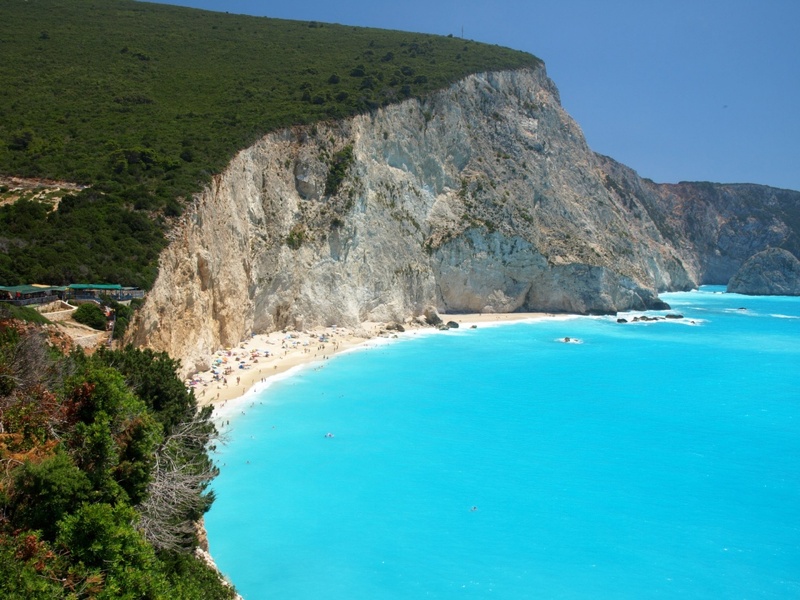 From here you can visit the famous Onasis family island of Scorpios or Meganisi, Ithaca and Kefalonia. Daily cruises depart from Nidri or Vassiliki. Alternatively, you can enjoy the spectacular view of the neighbouring islands from the hills of Lefkada! 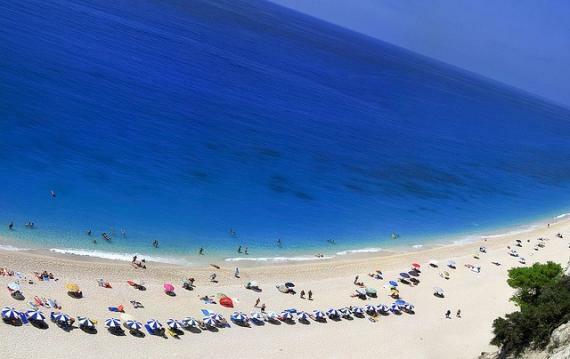 Some may find Lefkada quite unspoilt and original. Others may say that its beaches are like a tropical paradise. 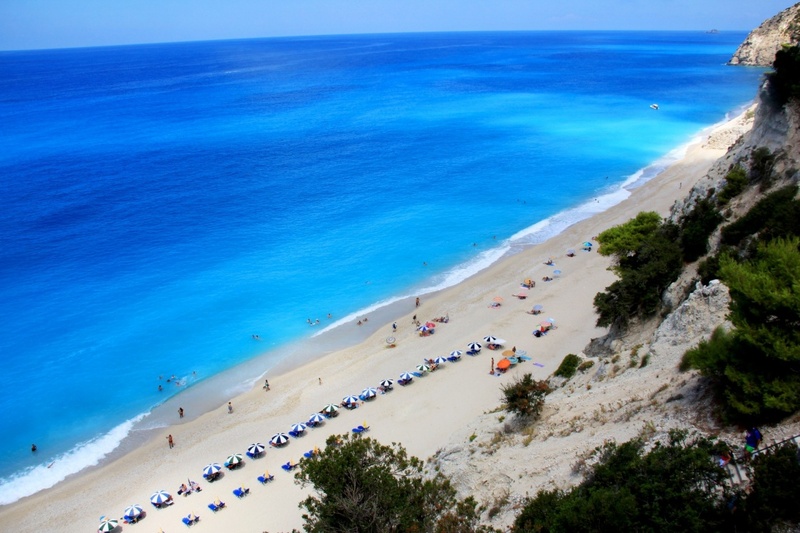 Why don’t you visit Lefkada to find out for yourself! Find information about selected Hotels, apartments and rooms in Lefkada and 5 star hotels in Lefkada to choose the perfect place for your accommodation.